Description of "Remembering Nine Eleven (eBook)"
September 11, 2001: A day which will live in Infamy. A Terrorist attack upon the U.S.
- 8:46 a.m. ET - American Airlines Flight 11 (traveling from Boston to Los Angeles) strikes the north tower of the World Trade Center in New York City. - 9:03 a.m. ET - United Airlines Flight 175 (traveling from Boston to Los Angeles) strikes the south tower of the World Trade Center in New York City. - 9:37 a.m. ET - American Airlines Flight 77 (traveling from Dulles, Virginia, to Los Angeles) strikes the Pentagon Building in Washington. - 9:59 a.m. ET - South tower of WTC collapses in approximately 10 seconds. - 10:03 a.m. ET - United Airlines Flight 93 (traveling from Newark, New Jersey, to San Francisco) crashes in a field near Shanksville, Pennsylvania. - 10:28 a.m. ET - North tower of WTC collapses. The time between the first attack and the collapse of both World Trade Center towers is 102 minutes. December 13, 2001 - The US government releases a tape in which Osama bin Laden takes responsibility for the attacks. Author of over 60 Ebooks and growing. 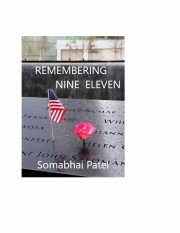 Reviews of "Remembering Nine Eleven (eBook)"